Endoscopic localization of the sphenoid sinus ostium. Amac: Bu retrospektif calismanin amaci, maksiller sinus septasinin varligini ve konumunu belirlemede konik-isinli bilgisayarli tomografi (KIBT) ve panoramik radyografi yontemlerinin karsilastirilmasidir. 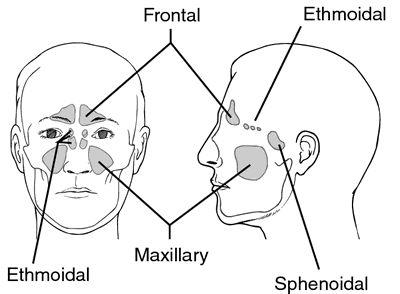 FRONTAL CELLS: The frontal recess is an inverted funnel like structure within the anterior ethmoid complex through which the frontal sinus drains. 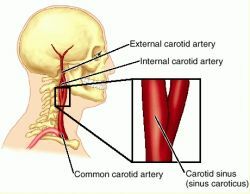 All patients with secondary mucoceles had a history of sinus surgery (10 endoscopic sinus surgeries, 11 Caldwell-Luc operations). 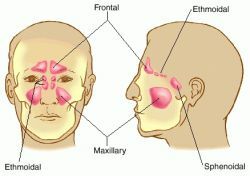 Despite the fact that several reports on the development of the frontal sinus are found, there are few studies that have investigated the relationship of the frontal sinus with other growth parameters. Unilateral congenital choanal atresia and maxillary sinus development. According to Traditional Chinese Medicine (TCM) many of the symptoms that manifested as a sinus infection could be due to an imbalance of other organs. Clinicians should consider migraine as a likely diagnosis in patients who complain of sinus headaches but have no other symptoms of sinus infection, such as fever or purulent nasal discharge. But in his experience, at least 80% of patients in a general practice who experience episodic, recurrent headaches that they attribute to sinus infection or congestion will fulfill the diagnostic criteria for migraine, said Dr. The reason for sinus infection in children is similar to the reason that kids are more likely to get ear infections.